CCTV released by the Met Police shows the 30-year-old man riding on a quiet road in Hackney when another man cycles alongside him. The other cyclist suddenly kicks out, sending the victim flying off his bike and causing him to crash head first into a parked car. He was rushed by ambulance to an east London hospital, where he remains in critical condition more than a week after the attack. Scotland Yard has said the motive for the attack is not known. 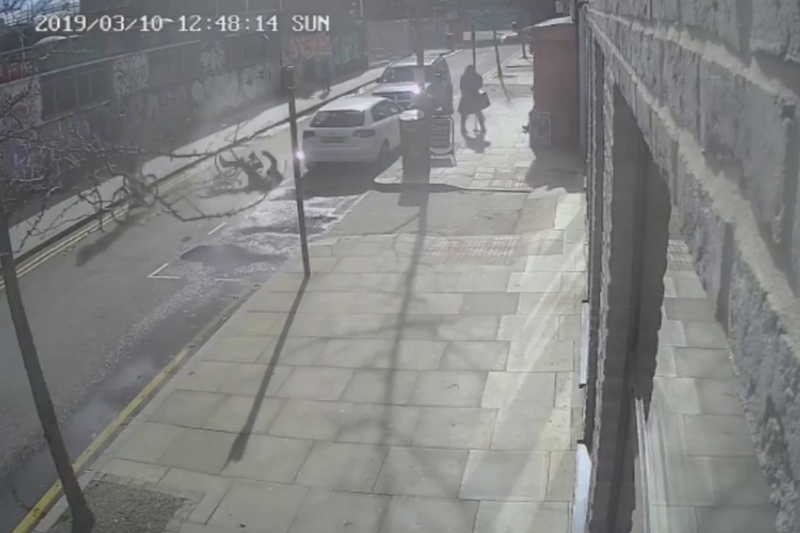 The incident happened in Wallis Road, near Hackney Wick station, at about 12.45pm on Sunday, March 10.